Kelly came to me for a reflexology treatment when she was 34. She had previously found it very easy to get pregnant and had two children already from another relationship. So when Kelly and her husband decided to try for a baby it came as no surprise that they got pregnant straight away! The excitement of being pregnant was unfortunately short-lived when Kelly miscarried early on in the pregnancy. When Kelly and her husband decided to try and get pregnant again things weren’t quite so straightforward. 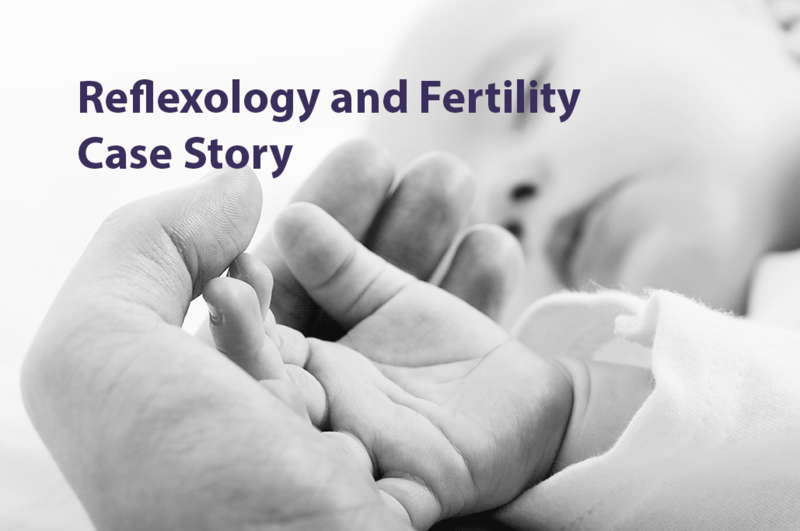 After 12 frustrating months of trying to conceive Kelly came to me for a Reflexology treatment to help her improve her fertility. The focus of Kelly coming to see me was to help her get back to some kind of normality and rebalance herself emotionally and physically. The first treatment Kelly found that she enjoyed deep relaxation during the session. The reflex areas of her reproductive system were sensitive and she felt heat and sensations rising through her body when working on these areas. At the 2nd treatment, Kelly who had suffered from an irregular and sporadic menstrual cycle since the first treatment she advised me she’d had a period around 28 days after the previous one and it was more in keeping with her cycle prior to her miscarriage. Kelly found that her sleep was improved after the treatment and she felt more refreshed. Kelly continued to become noticeably calmer within herself and after receiving 2 more treatments she called to tell me the most exciting news.. that they were pregnant. 9 months later Kelly and her husband welcomed a much loved, beautiful baby girl into the world.